If you're selling your home, you might wonder if there are common repairs needed after a home inspection. Most buyers, after all, won't commit to purchasing a place until it's been thoroughly vetted by a home inspector—and rest assured, if there are problems, this professional will find them! To be sure, repair requests after an inspection are a hassle, and liable to cut into your profits. So for starters, make sure to read your contract carefully to make sure you don't get locked into repairing something you don't want to fix. "As a seller, you should never sign a contract until you fully understand its obligations, particularly where it concerns your responsibility for repairs," says Michele Lerner, author of "Homebuying: Tough Times, First Time, Any Time: Smart Ways to Make a Sound Investment." 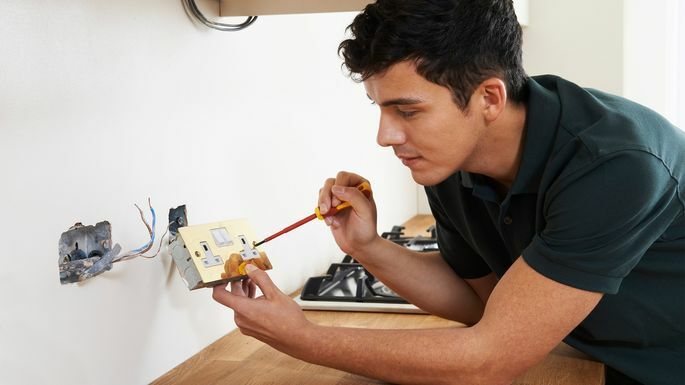 And rest assured, there's no need for you to fix everything a home inspector thinks could stand for improvement; a home inspection report is not a to-do list. Basically repairs fall into three categories: ones that are pretty much required, ones that typically aren't required, and ones that are up for debate. Here's how to know which is which. There are some repairs that will be required by lenders before they will release funds to finance a buyer's home purchase. Typically these address structural defects, building code violations, or safety issues. If a home inspection reveals such problems, odds are you're responsible for fixing them. Start by getting some bids from contractors to see how much the repairs will cost. From there, you can fix these problems or—the more expedient route—offer the buyers a repair credit so they can pay for the repairs themselves. This might be preferable since you won’t have to oversee the process; you can move out and move on with your life. "Some contracts will expressly state that the buyers cannot request any cosmetic repairs to be made and can only ask for fixes to structural defects, building code violations, or safety issues," says Lerner. Furthermore, "state laws may also impact your liability as a seller for any issues uncovered during an inspection." Between repairs that are typically required and those that aren't is a whole gray area of repairs that are up for grabs. How you handle those depends in part on the market you're in. If you're in a hot seller's market, you have more power to call the shots. "While buyers are always advised to have a home inspection so they know what they are buying, when there are a limited number of homes for sale and buyers need to compete for homes, they are more likely to waive their right to ask a seller to make repairs," says Lerner. In fact, "the best contract for a seller would be for the buyer to agree to purchase your home as is or to request an 'information only' home inspection, thus absolving you of any need to pay for any repairs." However, in a normal market, you won't be able to draw such a hard and fast line. Work with your real estate agent to understand what items you should tackle and where you might want to push back. Offer a home warranty. I sometimes keep a $500 one-year home warranty in my back pocket as a token to ease concerns during a home inspection repair request session, says Realtor® Kyle Springer, with Coldwell Banker in Bowling Green, KY. That can come in handy if there is an element that doesnt truly need repairs but is still worrying the buyers, such as an aging HVAC unit. Barter for something of value to the buyer. Often sellers will suggest their real estate agent ask the buyers agent if the buyers want appliances or furniture if they have no plans move them. Springer advises sellers to wait to make that offer until after they get the repair request list, because they may be able to beg off certain repairs in exchange for items such as the washer and dryer.